The incidence of prostate cancer has been increasing worldwide, with the greatest increases in the US. It is the most common cancer other than skin cancer among US men. The etiology of prostate cancer is poorly understood; age, family history, and race are among the few established risk factors. The human prostate gland is a complex organ comprised of different zones that have different embryological origin and different functional activities. The focus is the peripheral zone (70% of the gland) that is the major functional component. 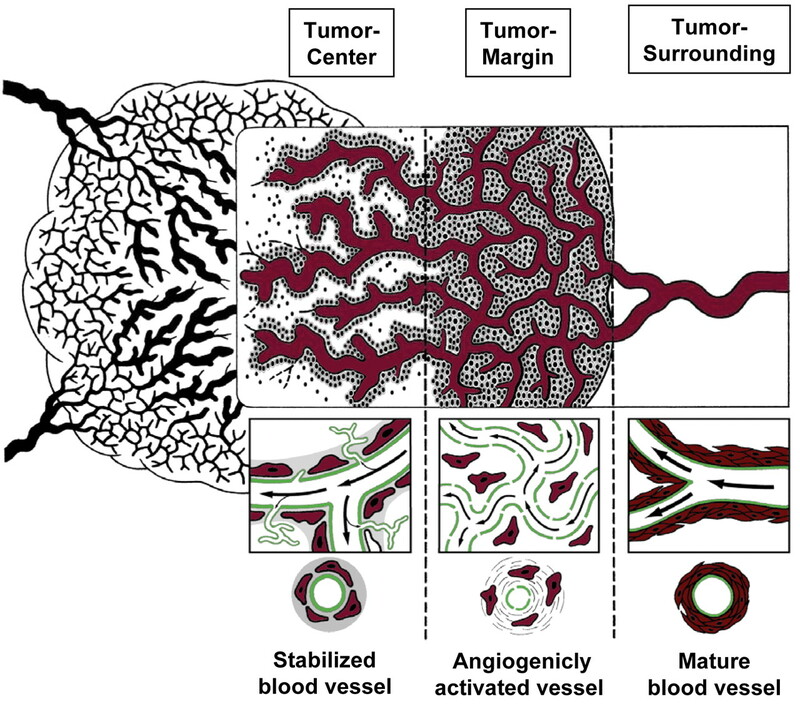 Most importantly, this is the major region of malignancy. There are several lines of evidence that suggest that zinc may play an important and direct role in the prostate. Studies have found that total zinc levels in the prostate are 10 times higher than in other soft tissues. Furthermore, adenocarcinoma cells taken from prostate tumors have lost their ability to amass zinc, whereas in normal prostate cells, zinc is highly concentrated intracellularly in glandular epithelium and inhibits mitochondria aconitase resulting in decreased citrate oxidase . 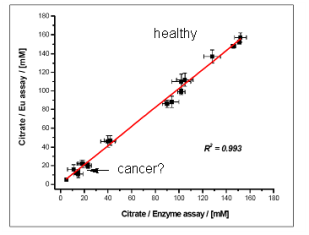 The prevention of citrate oxidation by the prostate cells is the key relationship that is responsible for net citrate production. This metabolic effect has implications in altering energy metabolism and adenosine triphosphate production of prostate cells, such that lower zinc levels in prostate cells leads to a higher rate of citrate oxidation, which increases the available energy and has been proposed to contribute to carcinogenesis and tumor growth. In contrast to these highly specialized prostate cells, most mammalian cells cannot survive if m-aconitase activity and citrate oxidation are inhibited as is evident from the toxic effects of the m-aconitase inhibitor, fluorocitrate. It is now well established that citrate and zinc levels are markedly decreased in malignant versus normal prostate tissue. These biochemical changes occur early in the development of malignancy. Moreover, malignant prostate tissue virtually never retains the characteristic high levels of citrate and zinc found in normal peripheral zone. In the absence of high cellular zinc levels, m-aconitase activity is no longer inhibited and citrate oxidation proceeds via the Krebs cycle. Thus we characterize the metabolic transformation as the transformation of zinc-accumulating citrate-oxidizing normal prostate epithelial cells to citrate-oxidizing cells that have lost the ability to accumulate zinc. An important benefit of this metabolic transformation is the bioenergetic relationship in that citrate oxidation provides the additional 24ATP from complete glucose oxidation that were lost by incomplete glucose oxidation in net citrate production. Thus, the malignant cells are bioenergetically more efficient than the specialized normal prostate epithelial cells. This is in contrast to the general tumor metabolism relationship in which the tumor cells are metabolically transformed to high aerobic glycolysis. In July of 2003 there was published an article on Journal of the National Cancer Institute that examined the association between supplemental zinc intake and prostate cancer risk in 46976 US men during 14 years of follow-up from 1986 through 2000. Supplemental zinc intake at doses of up to 100 mg/day was not associated with prostate cancer risk. However, compared with nonusers, men who consumed more than 100 mg/day of supplemental zinc had a relative risk of advanced prostate cancer of 2.29 and men who took supplemental zinc for 10 or more years had a relative risk of 2.37. However, results of other studies suggest that high intraprostatic zinc concentrations may adversely affect prostate cancer risk. For example, zinc enhances the activity of telomerase, an enzyme thought to be responsible for unlimited proliferation of tumor cells and whose activity is increased in prostate cancer. Whether dietary zinc intake affects intraprostatic zinc levels is unknown. As already described, zinc accumulation in prostate cells truncates the Krebs cycle and inhibits citrate oxidation. In addition, high zinc levels also inhibit the respiration and terminal oxidation of prostate mitochondria . These metabolic effects of zinc have bioenergetic and synthetic consequences as already discussed. Growth/proliferation effects. The accumulation of zinc inhibits growth and proliferation of prostate cells. We reported that zinc induces apoptogenesis in prostate cells that results from its direct effect on mitochondrial release of cytochrome c followed by activation of the caspase cascade and ultimately apoptosis. This effect is corroborated by the recent report of Huang et al. Uzzo et al reported that zinc sensitized malignant prostate cells to apoptosis through its inhibition of NF-kB. Voce bib ???? Invasive/migration effects. Zinc has also been shown to inhibit the invasive capabilities of malignant prostate cells.These effects of zinc accumulation are inhibitory to and incompatible with the prostate malignant process and can be defined as "tumor suppressor" effects of zinc. The depletion of zinc that occurs in malignant prostate cells in situ eliminates these anti-tumor effects. Under these conditions the neoplastic cell is able to meet the metabolic/bioenergetic requirements of malignancy, is able to grow and proliferate, and is able to invade the host tissue and metastasize. The critical issue becomes the mechanism involved in the unique ability of normal prostate cells to accumulate high zinc levels; and the mechanism involved in the lost ability of malignant cells to accumulate zinc. The intracellular level of all cells is firstly dependent upon the existence of zinc uptake transporters to extract zinc from external (e.g. interstitial fluid) sources. Many studies have identified hZIP1 as the zinc uptake transporter associated with this transport process. zinc absorption is reduced when zinc status is high. zinc absorption is inhibited by phytic acid found in vegetables and grains. among those who absorb less zinc due to the phytate content of the diet. There is a significant reduced risk among men who have high vegetable intake (with possible low zinc absorption) and in late-stage prostate cancer. It really exists the right amount of Zinc in diet, blood, cells? The study determined the expression of zinc transporter protein codifying genes ( ZnT-1, Zip-1 and Zip-3 ) and of metallothionein in 55 obese women, aged between 20 and 56 years. Prof Parker said: "Citrate provides a significant biomarker for disease that may provide a reliable method for screening and detecting prostate cancer, and for the monitoring of people with the disease. This technique could form the basis of a simple screening procedure for prostate cancer that could be used in outpatient departments at local hospitals." Iron-zinc interactions depend on their ratio and on previous trace elements status of subjects. FrZIP2 may employ a different mechanism of zinc translocation from the assumed HCO3--coupled zinc transport used by human SLC39A2. Given that no statistically significant change in mtDNA content and CS (citrate synthase) activity in endometrium taken from different phases of the menstrual cycle or in menopause was found, these samples were used as control. Our research shows, for the first time, that mtDNA content and citrate synthase activity increase in hyperplastic endometrium compared to control tissues, even if their levels remain lower compared to cancer tissue. In particular, mtDNA content increases seem to precede increases in CS activity. No statistically significant change in mtDNA content and in CS activity was found in relation to different histopathological conditions such as grade, myometrial invasion and stage.